Home / Entertainment / Viral / Video: Responsive Ads On A Whole New Level! Adverts can be smarter than you! These ads are so smart, they even get that Friday feeling or those Monday blues. Is advertising getting more devious or simply just targeting the right people at the right time? These ads change based on the time of day and the weather! If it's sunny out, the ad will prompt you to pop open a cold G&T but if it's cold and miserable, red wine will be your best bet. 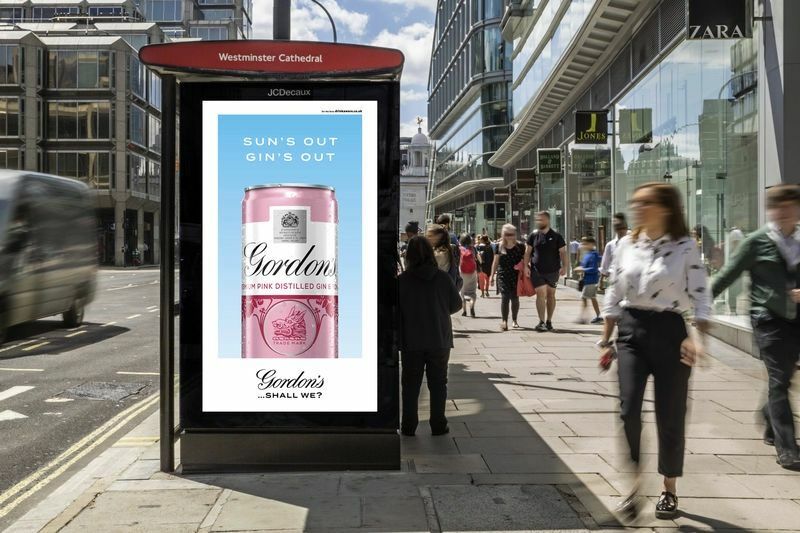 Diageo's Responsive Ads has started this campaign for five of its spirit brands – Gordon’s, Tanqueray, Captain Morgan, Smirnoff and Smirnoff Cider. Changing the ads based on factors in the environment is paving the way to relevant content as people frequent parks, bus stops and more. Although all we will see is a colourful ad for gin with the message, "#friday feeling" there is actually a super complicated algorithm going on in the background. The trigger will be used to determine which brand becomes active and when as well as which creative message will be used. Check out the video below for more of these brilliant ads!